Seeing that today is March 14 it has been dubbed as Pi Day, pi like 3.14159265359 or to you mathematicians, the distance around a perfect circle, or the circumference, divided by the distance across it, or the diameter. Nerds everywhere have celebrated this day today, I decided to celebrate by making a pie, a peanut butter pie to be exact because it is National Peanut Month. 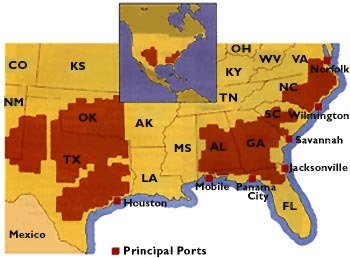 Peanuts are grown in numerous states across the United States, but seven states account for 99% of the peanuts produced. Georgia, Texas and Alabama are the top three producing states. 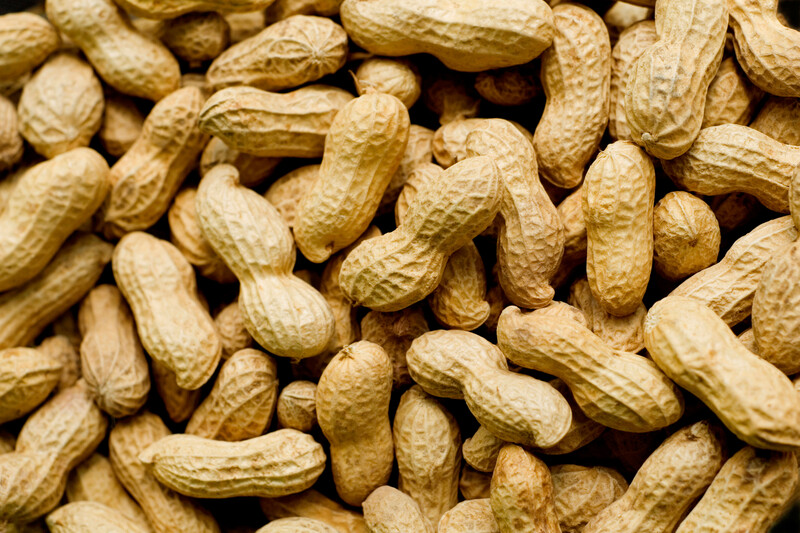 50% of peanuts grown in the United States are grown within a 100 mile radius of Dothan, Alabama! There are four kinds of peanuts grown in the United States and you can learn about them here. 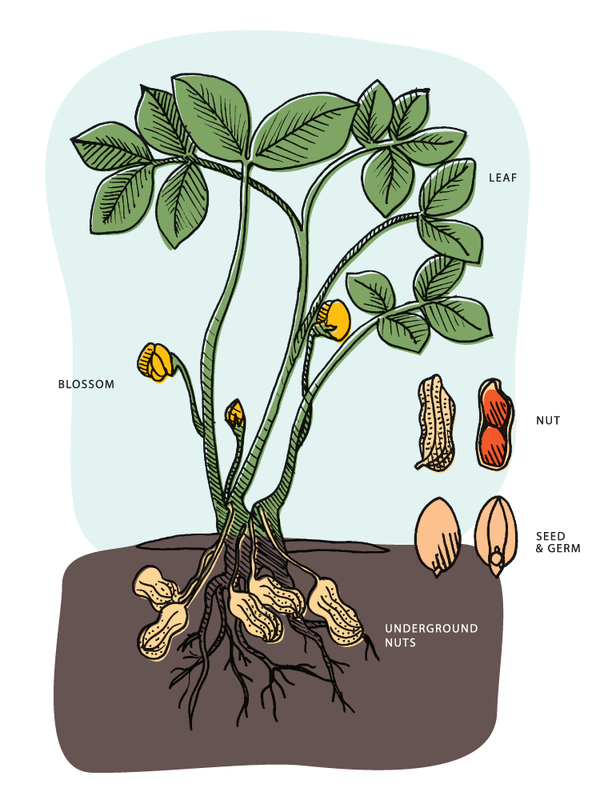 Peanuts are different than most plants, the peanut plant flowers above the ground, but fruits below ground. It takes 4 to 5 months for the peanut to reach maturity. 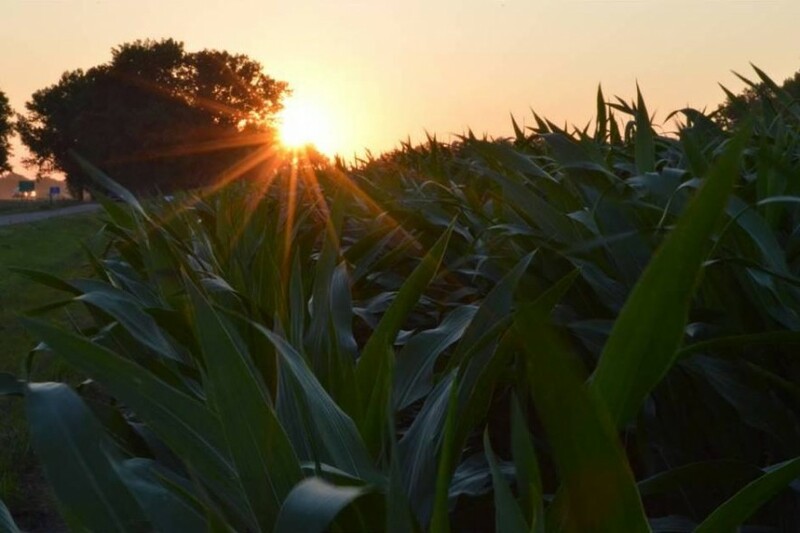 Planting usually happens in April or May and harvest is typically in September or October. About 10 days after planting a green leafy plant will grow on top of the ground, but interestingly the fruit (peanut) is below ground. Peanuts like water and need 1 1/2-2 inches of water a week when the pods are filling out. When the peanuts have reached maturity. the farmer will drive a digger through the green rows of peanut. The digger has long blades that run four to six inches under the ground. The plant is loosened and the main root is cut. Just behind the blade, a shaker lifts the plant from the soil, shakes the dirt from the peanuts, rotates the plant and lays the plant back down in a “windrow”—with peanuts up and leaves down. The peanuts will then lay exposed in the field for several days in order to dry out moisture. Here is a great video showing the inverting process. After the peanuts dry they are combined where the plant is separated from the nut portion. The peanuts are put in trailers and air is blasted into the trailers to further dry the nuts. There can be no more than 10% moisture in order to store them. There are enough peanuts harvested from each acre so that you could make 30,000 peanut butter sandwiches! Peanuts are good for you! They contain protein, mostly good fats, fiber and more than 30 essential vitamins and nutrients. Peanuts are used for products like roasted peanuts,peanut butter and oils for cooking and the hulls are often used in chicken houses instead of wood shavings. George Washington Carver came up with over 300 uses for peanuts including shampoos, laxatives, dyes, etc. My favorite use for peanuts is for cooking purposes. Peanut butter fudge and pie being my two favorites. 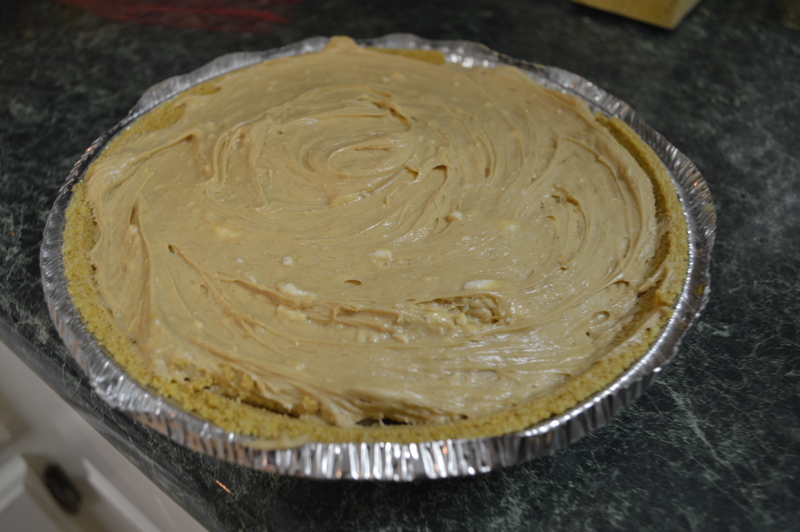 Since it was Pi day I whipped up a simple peanut butter pie that is quite tasty and so simple. Beat the peanut butter with the cream cheese until smooth. 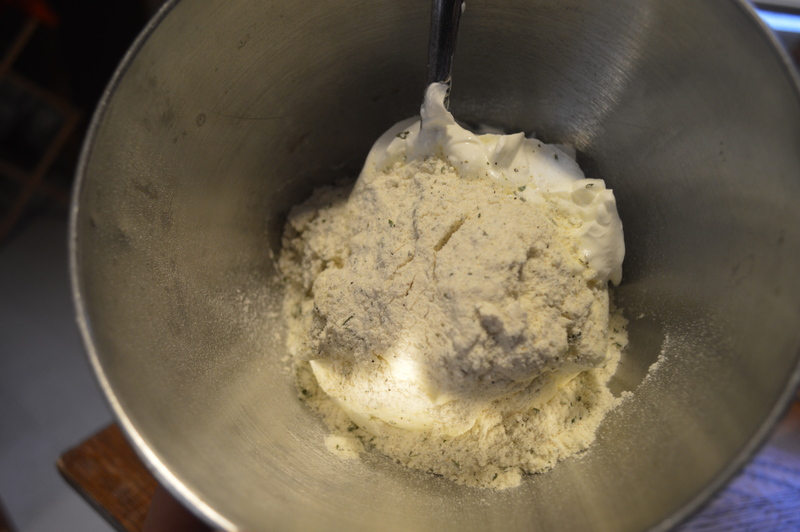 Add powdered sugar and beat until smooth. 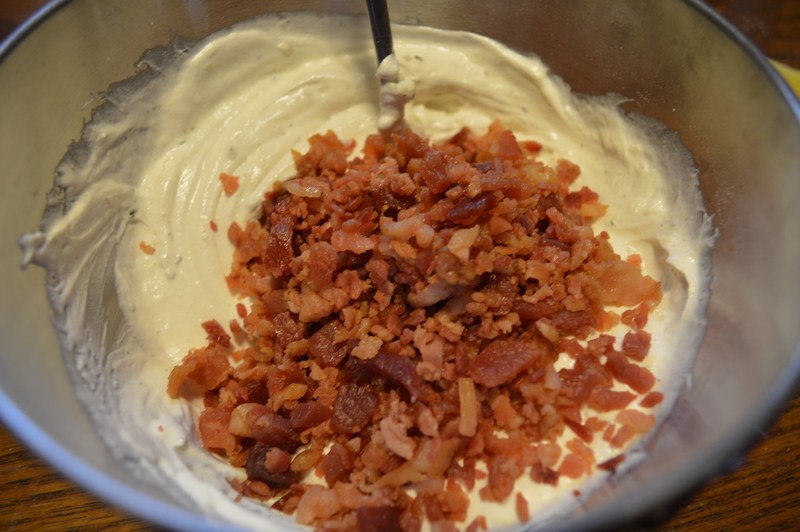 Add in the thawed Cool Whip and beat mixture until smooth, scraping the sides as needed. Hungry for more peanut info? Check out some fun facts from the National Peanut Board. It is finally here! In less than 24 hours my friends and I will be in Jordan Hare stadium cheering on the Auburn Tigers. Each home game weekend this fall I plan to share one of my favorite tailgate recipes. This week has been a hectic one, the first full week of classes and we were having a nightly gospel meeting at church so this week’s recipe is one of the quickest and simplest ones I have. I discovered the recipe a few years ago on an online blog (I do not even remember which one it was) it is popular on Pinterest and popular in my kitchen. 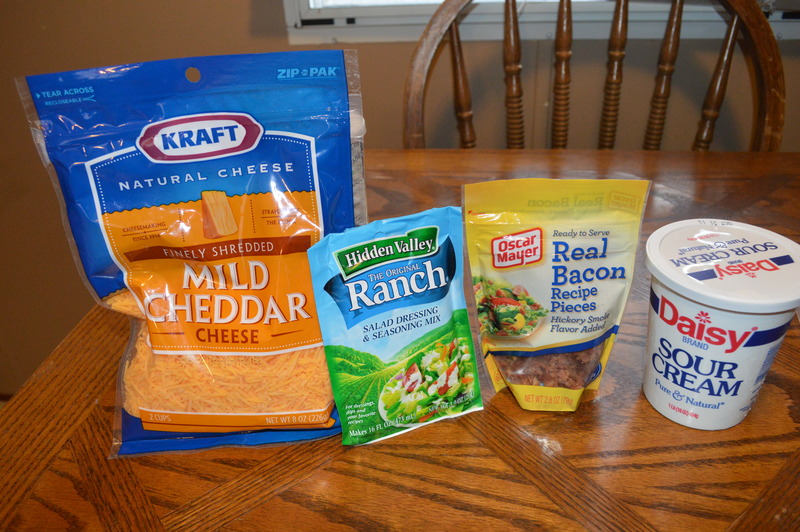 It is great if you need a quick tailgate food or even if company is on the way. So regardless of whether you are watching the game from home or traveling to your school to tailgate this recipe is always a crowd favorite. All you need are 4 simple ingredients. 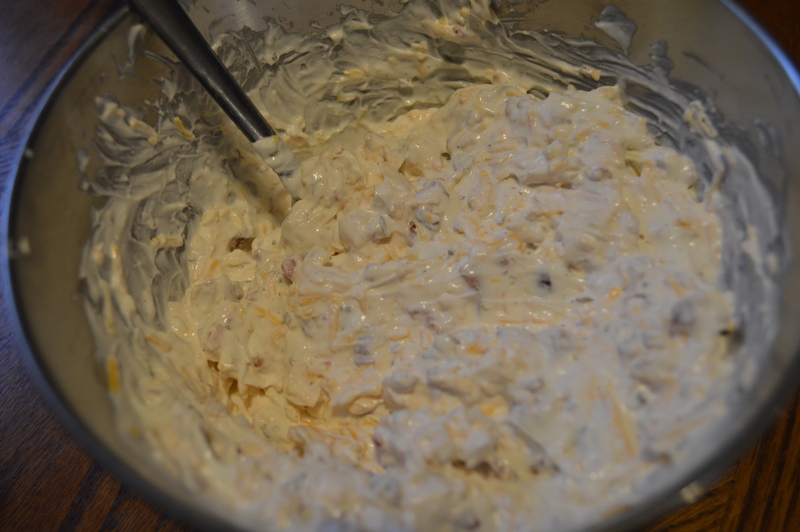 First mix your sour cream and ranch seasoning, then add the bacon, and cheese. It tastes better if you let it sit in the fridge overnight. Even if you don’t it still tastes good! 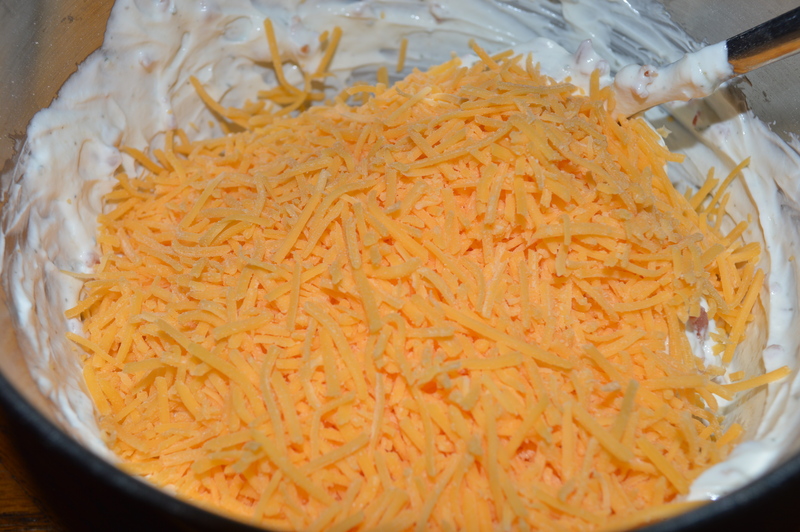 You can make this “healthier” if you choose to use low-fat or fat-free cheese and sour cream. It is VERY simple, quick and does not require many ingredients. I like to buy a aluminum loaf pan that I can pour the dip in and that way instead of having to deal with a dish when it is time to go to the game I can just throw the pan away. It tastes great with chips, crackers or even vegetables!